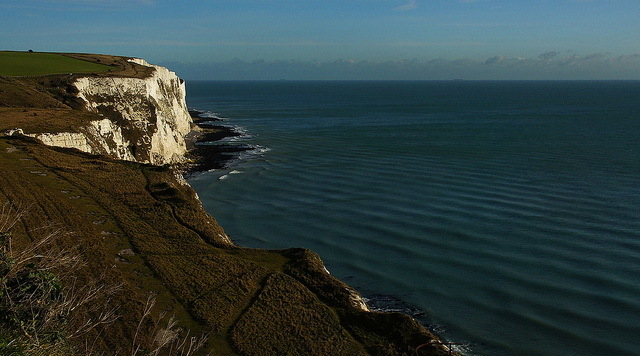 The White Cliffs of Dover are the most famous symbol of the Channel port in Kent. 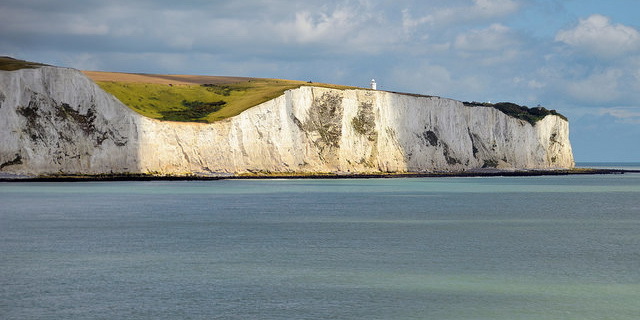 The White Cliffs are a recognizable landmark to those approaching the port of Dover from the English Channel. But not only people on the sea can wonder in their beauty. Thousands of people walk on the cliff’s top paths during the season and enjoy the unique flora and fauna that can be found only here. 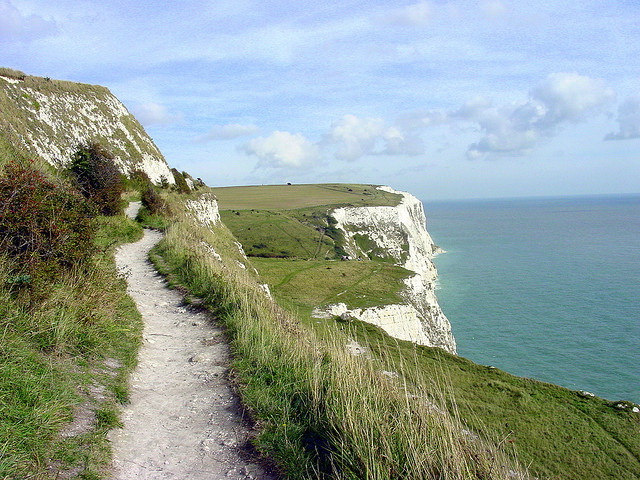 The cliffs are a symbol for Britons everywhere. They witnessed dramatic moments in English history like the arrival of the Romans or the return of the British forces from Dunkirk. Officially designated an Icon of Britain and recognized throughout the world, they have been seen by the nation as a sign of security, inspiration, hope and freedom for centuries. But the cliffs are not only important for the UK. They are world famous. The soft, white chalk is rare geologically; it is a very pure form of limestone. The White Cliffs of Dover are England’s most spectacular natural feature. 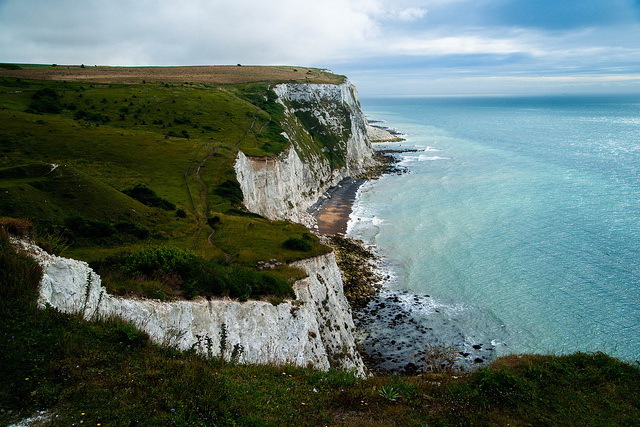 The cliffs were featured in many songs and poems, most notably by Dame Vera Lynn in her wartime classic “(There’ll be bluebirds over) The White Cliffs of Dover.” It was also mentioned by William Shakespeare in King Lear. The white chalk that forms the cliffs gives home to several species of cliff-nesting birds such as the fulmar or the black-legged kittiwake. The chalkhill blue butterfly can be easily spotted here as well. 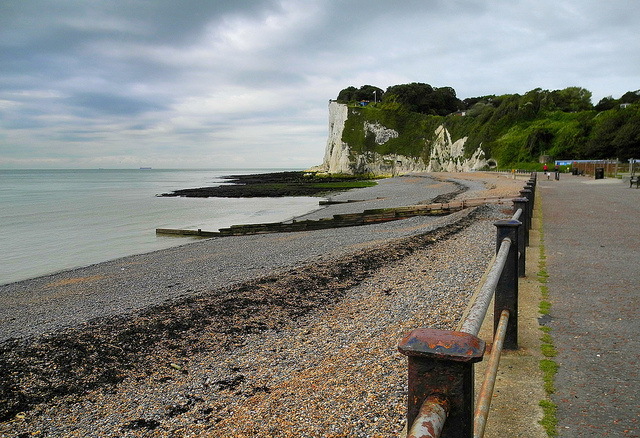 The White Cliffs are best viewed on a walking tour. There are many paths to be taken and you will be assisted to choose the best path at Dover's Visitor Center. 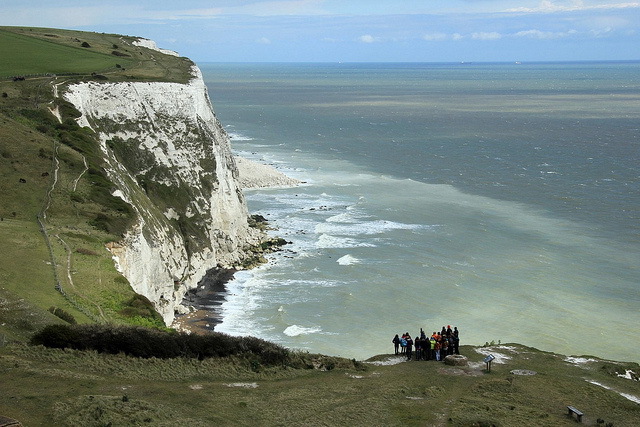 There is a walking festival organized by the end of August by the White Cliffs Ramblers. The White Cliffs are in a constant danger of erosion and during the past years landfalls occurred. Every year the cliffs get narrower by about 1cm. In 2001 and 2012 large chunks of the cliff collapsed into the Channel. Visitors are advised to not stand close to the cliff’s edge.